Liturgy is the word we use in the Church to denote acts of worship and prayer that are carried out in public by members of the faith community. The celebration of the Sacraments, and in particular the Eucharist, are the most common expressions of Liturgy in our parishes. The term liturgy can be used to describe any public gathering of the people for prayer. It can include things like prayer services in parishes and schools, missions and novenas, penitential services in Advent and Lent and so on. Liturgy acknowledges our need to come together with others as part of the Christian Community to offer praise and worship to God. Liturgy can help nourish our personal lives of prayer as well. The rituals we celebrate as part of the Church can help us to connect our worship of God with the everyday lived experience of our lives. In this section of the websites we hope to gather resources that may be of use to you and your community. Please remember that if you have a liturgy that was effective and meaningful for you and would like to share it with others send it to us at (insert address) and we will offer it to others. Baptism is the first sacrament received by all Christians. It marks the beginning of our lives of faith. The Catechism of the Catholic Church describes Baptism as the gateway to life in the Spirit and the door which gives access to the other sacraments. Through Baptism we become members of the Body of Christ; we are incorporated into the Church and made sharers in her mission. Together with Confirmation and Eucharist it is one of the Sacraments of Christian Initiation. 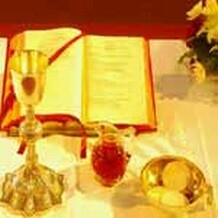 This sacrament puts in place the foundation of the Christian life. Being baptised is not an isolated event or a simple social ritual to celebrate the birth of a baby. As with all sacraments, baptism is approached in faith. The faith of parents carry a child to the sacrament. By bringing a child for baptism parents are giving a sign to the world that they and God are partners working together for the complete development of their child in body and soul. It follows then that to fulfil the true meaning of baptism there must be continuing teaching and example of living faith. Parents who present a child for baptism make a public commitment to bring up their child in the practice of the faith. As with other aspects of a child’s development they will only grow as a Christian if there is support, example, guidance and teaching throughout childhood and adolescence. The Sacrament of Baptism initiates us into our journey of life with God. It is God who leads and God who guides, and God who waits to embrace us for all eternity. 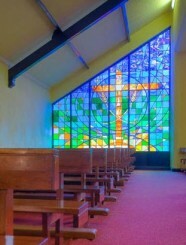 Baptisms normally take place in the parish church of the place where the family resides. To arrange for a baptism you should contact your local Parish Priest. Confirmation is a Catholic Sacrament of mature Christian commitment and a deepening of baptismal gifts. It is one of the three Sacraments of Initiation for Catholics. It is most often associated with the gifts of the Holy Spirit. 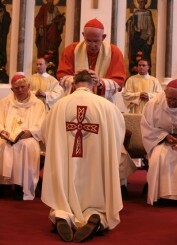 Confirmation, like the other sacraments of initiation, marks the beginning of a journey toward deeper knowledge of God. Our Confirmation candidates join us in claiming our heritage. For years to come, they will bear witness to what loving and believing people have handed on to them—all in the Spirit of God. Confirmation may be seen as an acceptance of the faith given to the baby in Baptism by a person entering adult life. 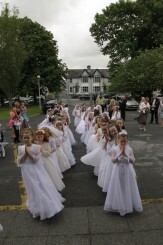 In the Diocese of Killaloe it is the practice to offer the Sacrament of Confirmation to pupils in their final year of primary school. There are a number of PDF resources which can be used. Find these under Confirmation in Resources. After the Resurrection, Jesus established this sacrament for his followers. He realized that even after Baptism we would still have to deal with the reality of sin. Out of his great love, Jesus instituted this sacrament through which a sinner who is sorry receives pardon and peace and is restored to the fullness of grace with God. Confession is a very intimate experience. Even in a communal reconciliation service that you might attend during Advent, Lent or a retreat, individual confessions are private. The Catholic Church maintains, however, that there is also a social aspect to sin. Sin not only affects our relationship with God, sin also alienates us from other people and the Church. In the Sacrament of Reconciliation, Jesus provides us with a way of being reconciled to God and to those we’ve hurt, and to be strengthened in our connection to God’s entire family. This is more than symbolic; it is spiritual reality expressed through ritual. The Church defines sin as a deliberate turning away from God and God’s goodness. Since God is love and only wills what is ultimately good, sin is a rejection of love. It leads to division, conflict and pain. These are the characteristics of life apart from God. On the other hand, whatever is good and leads to God is holy. God has given us a wonderful freedom to love him, his creation and everyone in it. When we sin, we misuse that freedom. Fortunately, sin doesn’t have to have the last word in our life. We can repent and turn back to God. Jesus is there to help us make that move. Through his death, Jesus rescued humanity to the Father. As risen Lord, he now dwells within the Church. The God we encounter in the Sacrament of Reconciliation is the God of compassion. In the battle against sin, God is on our side. That doesn’t mean God is pleased by sin. Rather, it means that, because of an overwhelming love for us, God reaches out even further to meet us when we need our Maker most. If you are ever hesitant or nervous about approaching a priest for Reconciliation, here are a couple of things to keep in mind. First, whatever you discuss with the priest is under “the seal of confession” and under no circumstances can he violate that secrecy. Second, every priest goes to Confession, too. He knows how hard it can be. If you’re not sure how to examine your conscience or forget how to make an Act of Contrition, tell the priest that. Priests are trained to help you receive the sacrament. Basically, you just need to show up with a sorrowful heart. At the head of our calendar stands Sunday, still called by us the Lord’s Day, the First Day of creation, the Day when Christ defeated death and the Spirit blew upon the disciples (Catechism, #2174-2175). It is above all the day when we assemble. If we look at the history of the Mass from the days of the apostles to our own time, we shall see there have been many changes in the way our Church has understood the Eucharist. But throughout that long tradition is the firm belief in the real presence of the risen Jesus in the Eucharist and in the centrality of the Eucharist in the life of the Church. Christians, gathered together for Eucharist, are conscious all the while that the risen Jesus is in their midst as they do so. Jesus’ presence in the Eucharist is not static: He is not satisfied just to be there. He is there to act dynamically in order to change our lives. At Eucharist we meet Christ and are challenged by him in the assembly of his people. He is there to make us whole people. He is there to bring harmony and peace into our lives, our families, our country, our world. He comes to make us experience ourselves as his body in the world. We refer to Holy Orders and Marriage as the sacraments of vocation, a word that comes from the Latin for “call.” We are all called by God. In fact, we are called at many levels, and progressively throughout our lives. We are called into life, into human dignity and responsibility, and into certain relationships, communities and tasks. Most importantly of all, we are called into an intimate communion with God that does not come naturally but must be sought and cultivated within the grace, or special outreach, of God. Therefore vocation is a key theme of Christian life, and a key component of the way we think about sacraments. The most basic calling or vocation of a Christian is the call into discipleship of Jesus within a community of disciples. Therefore the most basic sacrament of vocation is actually Baptism. Nothing is really higher or more intimate in the relationship we have with our creator than the grace and calling of baptism. However, that calling expressed by baptism, that vocation of the baptized, plays out in various ways for various people. Priests are ordained for ministry, which at its heart is a call to lead the members of the Church to holiness by loving and serving the people of a parish or diocesan community. They have a unique call to lead parish communities by bringing them the sacraments and other means to holiness offered through the Church. It is especially through presiding at Eucharist that priests live at the centre of the Church and offer members of the Church the most profound gift of God’s grace and presence. Just as Christ’s role was to be a reconciler, bringing the broken back into a renewed relationship to God, so reconciling people to God and one another permeates the ministry of a priest. In order to bring healing and health to the Body of Christ, a priest lives close to the people, knowing their triumphs and failures, the pain and joy of the community. He stands with the members of the community at significant moments—when they are joined in marriage, when they bury their loved ones, in times of sickness. It is in these moments that his special relationship to the Body of Christ is most visible. He is at one and the same time the presence of Christ for the community and the representative or voice of the community in its celebrations. Our mission as Church is to do what Jesus did. And on nearly every page of the Gospels we read of Jesus’ concern for the sick. Healing was essential to the mission of the disciples: “He summoned the Twelve and began to send them out two by two. They anointed with oil many who were sick and cured them, (see Mark 6:7-13). After Jesus ascended into heaven, the Church continued to be a sacrament of healing: “Are any among you sick? They should call for the elders of the church and have them pray over them, anointing them with oil in the name of the Lord. The prayer of faith will save the sick, and the Lord will raise them up; and anyone who has committed sins will be forgiven” (James 5: 14-15). The Second Vatican Council placed the sacrament of the sick once again in the context of mutual prayer and concern described in the Epistle of James. Anointing is not a sacrament for those only who are at the point of death but is intended for all those who are seriously ill. Consequently, what we formerly called “Extreme Unction” is now more properly called “The Sacrament of the Anointing of the Sick. More has changed than the sacrament’s name. Our experience of the revised Sacrament of the Anointing has brought about a change in the way we think about the sacrament. This sacrament (like all sacraments) is a community celebration. Sickness involves more than bodily illness and anointing heals us through faith. Today one does not have to be a doctor to know that physical health is related to mental and spiritual health. Today we are all aware that tensions, fear and anxiety about the future affect not only our mind but our body as well. These illnesses can be serious. They can move us to ask for the healing touch of Christ in the Sacrament of Anointing. There are times when old age and the fears and isolation that can sometimes accompany it need to be brought to the healing and comforting touch of Christ in this sacrament. It is a powerful sign for a parish community to see their senior members place their limitations and dependence in the hands of Christ, who accepted human limitation and freely embraced suffering and even death itself. In the sacrament we pray that the sick be healed in body, in soul and in spirit. God alone knows what kind of healing the sick need most: that a wound be healed; that a fear turn to confidence; that loneliness be embraced by the support of a praying community; that confusion turn to insight. The Sacrament of Anointing does not remove the mystery of human suffering. Yet its celebration gives us a window into the mystery of a loving God. Our loving God raises up the crucified Son to display his victorious wounds, sitting triumphant at the Father’s right hand. Besides the human, social and legal dimensions of marriage—the public sign that one gives oneself totally to this other person—sacramental marriage is also a public statement about God. The celebration of each of the sacraments reveals something of this ultimate reality: who God is and who God is for us. In the Scriptures the relationship between God and God’s people is often described in terms of a marriage. The early Christians, reflecting on Christ’s love for us, also used this image. Christ and the Church embrace in mutual love and self-giving, even as do husband and wife (see, for example, Ephesians 5:21-33). “‘For this reason a man will leave his father and mother and be joined to his wife, and the two will become one flesh. This is a great mystery, and I am applying it to Christ and the church” (Ephesians 5:31-32). The wedding vows that the couple exchange express what is at the heart of Christian marriage. The words – “for better or worse” – point to the truth that life together will have its challenges as well as its rewards. The grace of the sacrament inspires the couple to turn to the Lord not just in days of happiness but also in times of sorrow, to seek the strength to transform any situation with love and indeed forgiveness. Marriage is an occasion of deep significance in the life of the Christian community and is celebrated as a liturgy of the Church. Usually it takes place during Mass. The Marriage Rite can also be celebrated outside Mass. This can sometimes be a more appropriate form of the ritual. In the sacrament of marriage it is the couple who act as ministers of the sacrament. It is they who will exchange vows before God and the assembled community. The priest’s role is to receive their consent, to act as a witness, to lead prayer and to bestow God’s blessing. Marriage is a profound commitment. It is a commitment that each party must choose freely, giving their full consent without reservation. Appropriate preparation is essential, both at the personal level and in regard to establishing that all is in order for the marriage to proceed. The first step in the process is for the couple to go to their local priest to make preliminary arrangements. Couples need to give at least three months notice to their own priest of their intention to get married. The meetings of the couple with their priest are a key part of the preparation process. These meetings have taken on a new significance in recent times, because it can no longer be assumed that seeking a Church wedding is an expression of Christian faith on the part of one or both partners. These meetings are an opportunity for a couple to reflect on what Christian marriage asks of them. 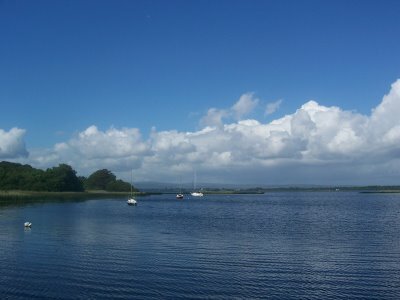 In the diocese of Killaloe, the bishop’s permission is required for a Church marriage involving someone under 18. Christian marriage requires the capability for a mature commitment and therefore such permissions are only granted in exceptional circumstances. Standard paperwork – the ‘pre-nuptial enquiry’ form – must be completed for each wedding, usually by your local priest. The priest must clearly establish that both parties are free to marry in the church. Catholics will need to provide a recently issued (within the previous six months) Baptism certificate and a Confirmation certificate. The couple should also present a certificate of having completed an appropriate pre-marriage course. As ministers of the sacrament, the couple should be involved in planning the ceremony. The priest has a responsibility to advise the couple in their choices regarding the liturgy – readings, prayers, music and choice of vows. Couples are encouraged to look for such guidance early in the process. Family and friends are also encouraged to participate in the ceremony. In this diocese, marriage can take place on any day other than Sundays and major feast days – Please check with your local priest. Traditionally marriage is celebrated in the home parish of the bride or in a church local to one of the couple but this is not essential. It should be noted that the sacrament can be celebrated very simply with two witnesses if a couple so choose, or with a small group of family and friends. Special permissions are required for full church recognition of marriages between a Roman Catholic and a baptised non-Roman Catholic or someone unbaptised. Applications are handled by the diocesan office once the priest of the catholic party has forwarded the standard paperwork. The couple has ultimate responsibility for all arrangements regarding the civil aspect of their marriage. It is the responsibility of couples wishing to marry in the Catholic Church to ensure that the civil requirements for marriage are fulfilled. Once a couple has a confirmed booking for a Church wedding, the couple should make contact their local Registration Office to make an appointment to meet the Registrar to give him/her their marriage notification. The couple must give notice of their intention to marry at least three months before the intended date of their wedding. It is advisable to do this at the time that the marriage is being planned. When attending the Registrar’s office in relation to the notification, the couple must also pay the notification fee of €200 and provide the Registrar with evidence of their name, address, age, marital status and nationality. details of the proposed solemniser (celebrant) and venue. It is strongly advised that couples bring all documents and information requested by the Registrar to their notification meeting, so that the entire process can be completed in one meeting and the MRF can be issued to them immediately. When the Registrar is satisfied that all required details have been provided and that the couple are free to marry, he or she will issue them with a Marriage Registration Form (MRF) based on the information they have provided. This is a critical document as it is effectively the civil authorisation for the marriage to proceed. The MRF should be given to the priest solemnising the marriage prior to the ceremony. The priest will complete the MRF immmediately after the ceremony and then give it back into the couple’s care. It is their responsibility to return the completed MRF to the Registrar’s office. From August 1, 1996 (under the Family Law Act, 1995) the minimum age at which a person, ordinarily resident in the State, may contract a marriage valid in Irish law is eighteen years of age. The above is a short summary only click the following link for more detailed information available from the General Registers Office.